What a summer. Weatherwise, it was probably the worst I can remember in my adult life (which dates back a good couple of decades). As you will have gathered, we spent a week in Scotland during this 'awful' summer, and managed to dodge a lot of rainfall elsewhere in the country. Indeed, on the day most of these were taken, we went on to sit on the beach at Channery Point watching dolphins, whilst our children swam in the sea. I should add that a couple of these pictures were taken the day before when it was so wet and windy in the morning that standing up was a difficult enough task. We spent the week based at a cottage in Errogie, a small settlement about half way down the south/east shore of Loch Ness, and about 2 miles over the hill from the Loch itself. 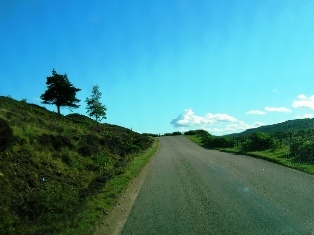 As a result, we ended up driving right the way around Loch Ness on a few occasions and there will eventually be photos of most of the trip on this site. However, given that there are so many photos to sort through, I've decided to break down the trip into sections. 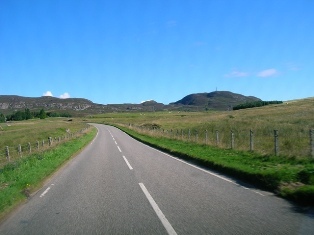 Errogie to Inverness therefore seemed to be the obvious place to start. The map shows the section of road featured on these two pages. Loch Ness lies in the Great Glen, a major geological fault that divides the Highlands of Scotland into two. It is the largest volume of fresh water in Scotland, and contains more fresh water than all the lakes and rivers in England and Wales put together. It is also reputedly the home of a large monster. 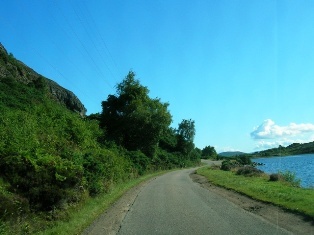 On the north west side of Loch Ness runs the A82. 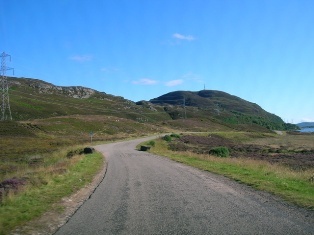 This road is the main artery through this part of Scotland and carries the bulk of the tourist and essential traffic between centres such as Fort William and Inverness. 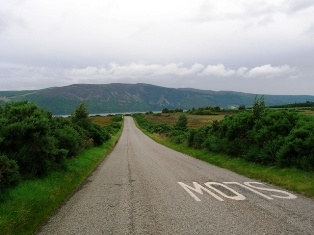 The A82 is a great drive, and will be featured in due course on this site, but if you want to escape from the heavy lorries, take a right in Fort Augustus along the B862 which runs on the less populated east side of Loch Ness. 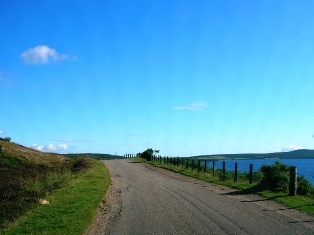 There are a few route alternatives - either stick with the B862 through Errogie, which runs away from the shore of Loch Ness, or take a left on the B852 when you have an opportunity to do so, and go via Foyers and Inverfarigaig along the side of the Loch. All these routes will eventually be featured, but I'm starting north of Errogie for the time being. 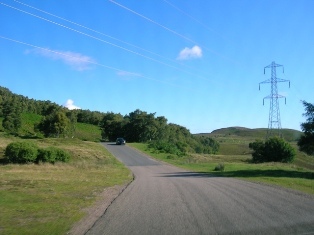 The road is variable in nature, with sections of single and double track road. 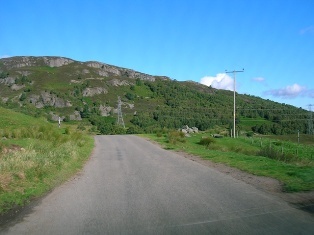 Whilst there are patches of woodland, much of the road has an open aspect and there isn't a huge amount of vegetation. Soon we approach the shore of Loch Ceo Glais, a small loch nestling on the valley floor. 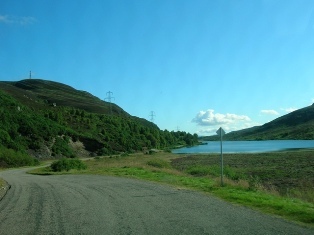 The final picture offers our first view of Loch Ness. This one was taken the day before the others, and shows how the differing weather conditions make the scenery look different.